The wines of the Regalo Valley Ranch are made from grapes grown in vineyards across California. By combining fruit selections with precise winemaking techniques, they are able to capture pure expressions of each varietal. 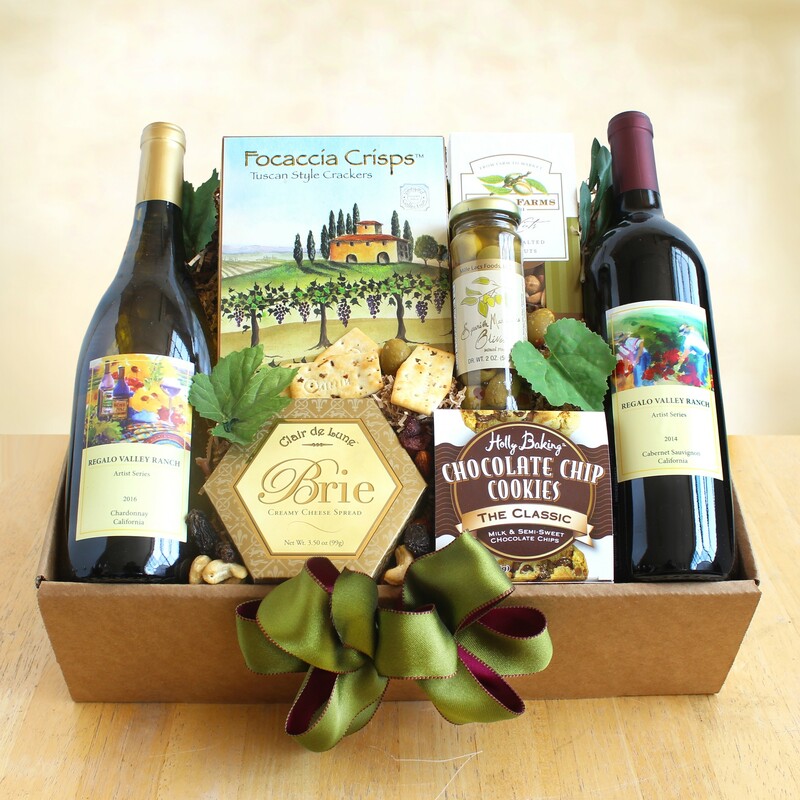 Enjoy a bottle of Regalo white wine and a bottle of Regalo red wine in this handsome collection that also includes olives, brie cheese, focaccia crisps, chocolate chip cookies and mixed nuts. Presented in a lovely wine colored box and tied with a festive bow.